See all 153 properties in Hamad Intl. Situated in Doha, this spa hotel is steps from Vitality Wellbeing & Fitness Centre and Virgin Megastore. Souq Waqif and Doha Corniche are also within 9 mi (15 km). 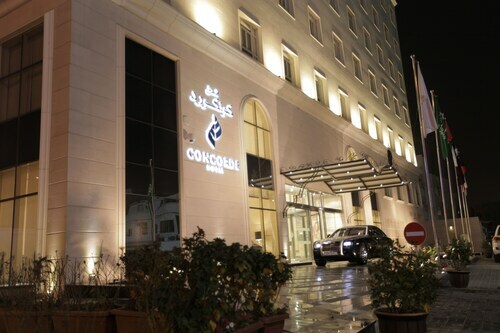 This family-friendly Doha hotel is located in the suburbs, within 3 mi (5 km) of The Mall, Gold Souq and Al Khoot Fort. Qatar National Museum and Falcon Souq are also within 3 mi (5 km). 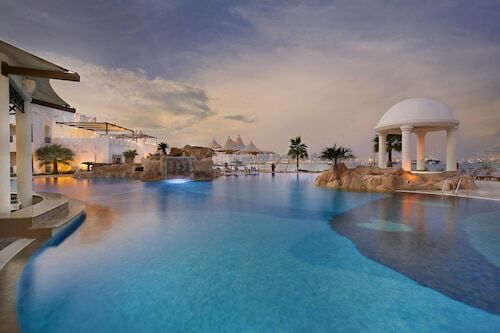 Nestled on the beach, this Doha resort is within 6 mi (10 km) of Qatar National Museum, Doha Corniche, and MIA Park. Qatar National Library and Pearl Monument are also within 6 mi (10 km). Located in Doha, this beachfront hotel is on the boardwalk and within 3 mi (5 km) of Doha Corniche, Qatar National Museum, and Museum of Islamic Art. Souq Waqif and The Mall are also within 6 mi (10 km). 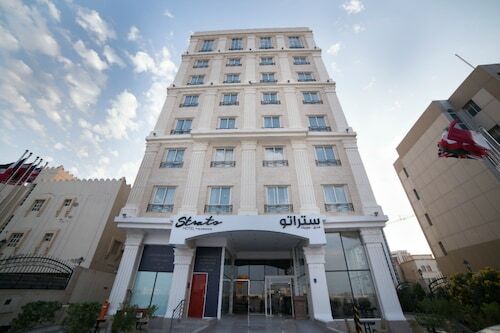 Situated in Doha, this hotel is within 3 mi (5 km) of Grand Hamad Street, Souq Waqif, and Doha Corniche. Qatar National Library and The Mall are also within 2 mi (3 km). Situated in Doha, this hostel is 2.5 mi (4 km) from The Mall and within 6 mi (10 km) of Souq Waqif and Doha Corniche. Grand Hamad Stadium and Grand Hamad Street are also within 6 mi (10 km). Nestled on the beach, this Doha hotel is within 2 mi (3 km) of Doha Corniche, Qatar National Museum, and Museum of Islamic Art. Souq Waqif and The Mall are also within 3 mi (5 km). Situated in the historical district, this luxury hotel is within 2 mi (3 km) of Grand Hamad Street, Souq Waqif, and Doha Corniche. Qatar National Library and Gold Souq are also within 1 mi (2 km).